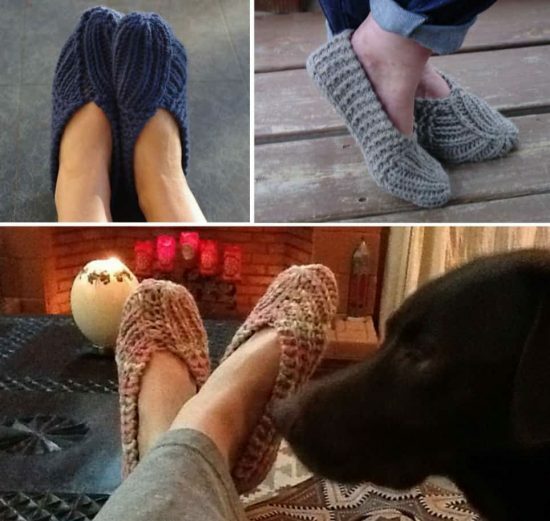 We’ve put together a cute collection of Knitted Slippers that are super easy free patterns and you are guaranteed to love them. Check them all out now and Pin your favorites. 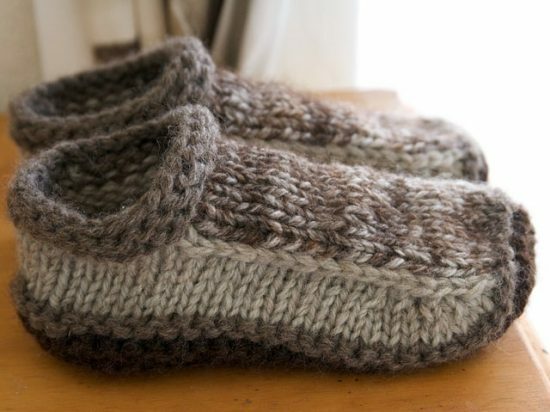 Get out the Knitting Needles, everyone deserves a pair of cozy and comfy knitted slippers to keep their tootsies warm! There really is something about wearing slippers. It’s like chicken soup for the soul! The whole day washes away and don’t you love popping them on after a hot shower! There really is nothing better than throwing off the high heels and sinking into a pair of flats. This gorgeous ballerina styling is so cute too. Don’t you just love the pretty flower decoration? 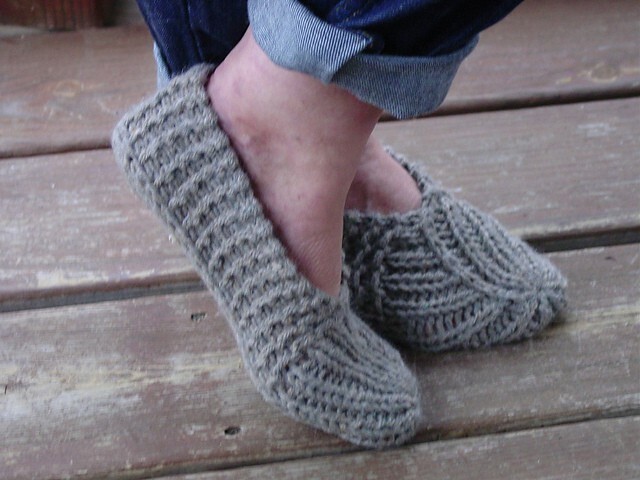 It’s a super simple beginner pattern that you will be so excited to make. If you are just starting out with knitting and are looking for another easy pattern, be sure to check out the Bunny that is made from a single square. It’s a very cute project that everyone loves and you can find the details here. 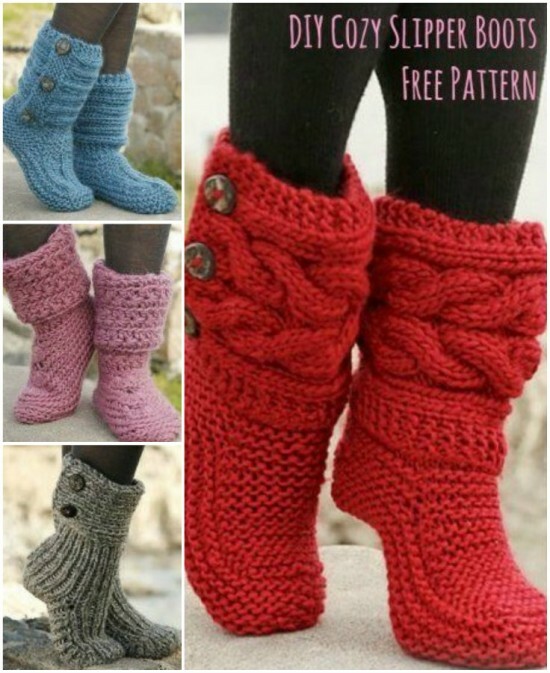 When you scroll our page you will also find our hugely popular Knitted Slipper Boots Free Patterns too. Be sure that you view the page in its entirety and don’t forget to pin your favorites.